This Leader's edition will help you to catechise ministers, parish staff and parishioners about the process and rationale for the revised English translation and help people learn the prayers and responses. It will effectively implement the revised Roman Missal. 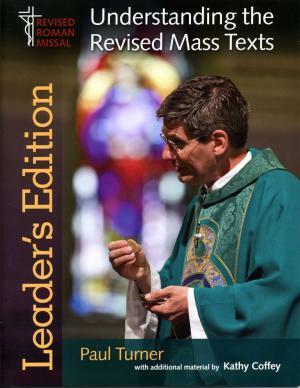 "Readers will find Fr Paul Turner's explanation of the new translation both informative and insightful. More than that, I hope this excellent booklet will draw people more deeply into the celebration of the Mass which is at the heart of our faith. I am grateful to LTP and McCrimmons for making this anglicised edition available as we prepare for the new translation of the Missal."